Very rarely do golfers experience perfect lighting and weather conditions on the green. Instead, most are struggling to shield their eyes from the blaring sun and squinting to spot that glimmer of white amongst the expansive green. Golfers are at the whims of Mother Nature and must adapt to be successful. Golf is a game of skill and control. So how are you supposed to make a perfect shot when you’re struggling to see? Sunglasses can make all the difference out on the green. They’ll keep your eyes shielded while improving your vision and accuracy. 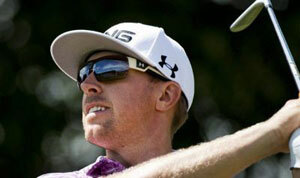 Sure, normal sunglasses will provide a bit of protection, but they’re not exactly designed with golfers in mind. It takes special sunglasses to provide you with what you need most: clarity, comfort, and protection. Rather than picking up a standard pair of sunglasses that you can wear anywhere, choose a high-quality set of shades packed with useful technology you’ll use on the green. Sunglasses designed for golfing may look similar to other athletic sunglasses, but there’s a lot more thought put into them. One of the most important features present on these sunglasses is a tint to block out certain types of light. Depending on when and where you play, you may need to filter what you see in order to get an accurate reading of the course. Even on the sunniest days, the image of a vivid blue sky against a field of green can be disorienting. Sunglass manufacturers use specific colors of lenses to achieve different effects. Yellow and red lenses improve contrast and depth perception on overcast days while amber and gray lenses increase contrast and sharpness on bright sunny days. Other colors are also available. It’s a good idea to go over a tint guide prior to buying to get a better understanding of how colors affect your vision on the course. Choosing the right color of lenses for the specific day will make it easier to read the green and make a successful shot. Golfing sunglasses are also made with protection in mind. When you’re out all day on a hot course, your eyes are exposed to a lot of UV damage. Sunglasses should provide complete protection against these harmful rays. A couple of different types of lens treatments are available to keep the eyes safe while providing further visual enhancement. These technologies do all the work adjusting to changes in light so that you can focus on your game. Of course, the fit is always a concern. 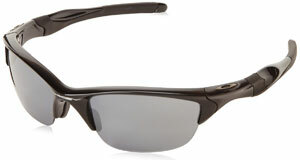 When you’re on the course, you need sunglasses that will accommodate the motions of the game. Golfing shades wrap around the head in a similar fashion as standard sports sunglasses for running or fishing. However, they sit on the face differently to provide more coverage around your peripherals and prevent blind spots. 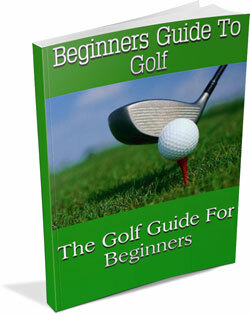 There are a number of great golfing sunglasses available on the market. You’ll want to consider every feature of the sunglasses to ensure that you make the most out of your purchase. With the right shades, you can play the game uninhibited in any condition. Here are some of the best sunglasses you can wear for a game of golf. These sunglasses from the renowned Oakley brand is perfect for all day wear. It’s made from a unique material that makes it very light and ready for action. The frame is comprised of the O Matter plastic. It’s infused with nylon to bring down the weight while increasing flexibility and durability. The lenses are made from Plutonite are completely UV protected. They’re also very impact resistant to ensure that they survive drops and falls. The bottom of the lenses aren’t supported by a frame. This gives you a clear downward view of the ball. Oakley offers the shades in two different lens colors. Neither choice is polarized, but both are designed to increase contrast in variable conditions. Nike went out of their way to create these shades for golfers. They worked with professionals to create new technology that will enhance your comfort and the way you play. The frame is made of nylon and features a ventilated nose bridge. It’s adjustable so that you can always be comfortable regardless of the temperature. The frame is also a bit thinner at the temples so you can wear a hat. The lenses utilize Nike Max Optics technology. This includes a unique tint that makes spotting the ball a breeze. They offer gray, red, and navy tints that enhance vision similarly. The white color pops while the elevation and curves of the green are defined. It’s also cut to maximize the view at any angle. If you’re looking for something very light, these shades from JiMarti are a great option. They weigh just .60 of an ounce. This light weight is achieved with the TR-90 frame. It’s light, flexible, and very tough. It’s a memory frame, so it adjusts to your head perfectly for all-day comfort on the course. A number of different lens tints are available ranging from blue to light green. All of the lens options are 100% UV protected. They also have a cool mirror finish for added flair. Made from polycarbonate, the lenses can hold their own against whatever you decide to throw at it. The sunglasses are meant to be light and comfortable throughout an all-day game. 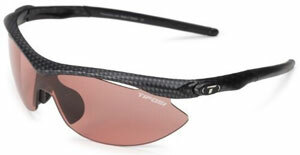 These sunglasses from Tifosi are packed with useful technology and flair. Available in a large variety of lens and frame colors, you can easily find a pair that suits your needs. Frames are made out of TR-90 nylon. The material is protected from the sun and chemicals while being very light and snug. Polycarbonate is used on the lenses. They are decentered and have high impact resistance. When dropped, the lenses flex rather than snap. They’re coated to block glare and come in a number of different tints. One tint, in particular, is made to increase contrast so that you can quickly spot your ball from afar. The Fototec technology adjusts the tint based on the conditions to give you more clarity at all times. This option from Oakley gives you full control and customization of your vision. It features interchangeable lenses that can be swapped out very easily. Instead of having multiple pairs of shades for different conditions, you can simply swap out the lenses. They have High Definition Optics to increase clarity. An iridium coating reduces glare. They’re also available in photochromic or prescription options. The frame is made from that signature light O Matter material. It’s impervious to stress and features 3 points of comfort. These points perfectly align the shades to achieve the best vision possible. It’s available in 3 different colors, each with that iconic Oakley style. Is there anything worse than sun glare on a sunny day? Polarized lenses help to improve your vision by blocking out intense light. This effectively reduces glare to help you see clearly. Sunglasses are polarized by coating the lenses with a special filtering substance. It scatters the light, reducing its intensity. 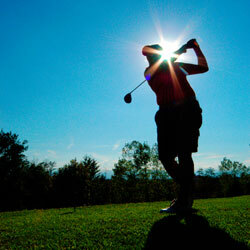 Polarized lenses provide a huge advantage on a golf course. Essentially, they help you see clearer and farther. There is no need to strain searching for the target. You can even get polarized lenses with UV protection to keep your eyes healthy. Unlike other treated lenses, polarized sunglasses do not change color based on the lighting conditions. They will remain the same regardless of the light exposure. You may find that these lenses are effective some days while being ineffective on exceptionally brighter days. Additionally, polarized lenses may actually make golfing a bit more difficult. While most don’t realize it, glare can actually help you determine where the curves of the green are. Many golfers have a difficult time seeing the details of the putting green with polarized lenses. There are countless makes and models of polarized sunglasses. These lenses are popular among sports fanatics and regular sunglass wearers alike. This makes them incredibly versatile and accessible. You can easily find a stylish pair of polarized lenses that work for you for a price you are willing to spend. These lenses have the unique ability to change tint level based on the light intensity. High quality photochromic lenses are so effective that you may not even notice they are on. A game of golf isn’t a quick endeavor. It usually takes multiple hours to complete, with the sun moving as the game goes on. With photochromic lenses, you’ll be able to see clearly regardless of how bright it is. The tint will darken as the sun shines brighter while fading as the sun goes down. If you are a golfer with eyes that are sensitive to light, photochromic lenses are your best friends. They will seamlessly adjust to the lighting conditions to ensure that you are always seeing clearly. Not only that, but most photochromic lenses have some degree of UV protection. They’ll also work to increase optical clarity by reducing glare. In a game of golf, they’ll help you see the green perfectly. Much like polarized lenses, photochromic sunglasses can work against you if you are not used to the optical clarity you will get. It’s important to get sunglasses that work to your advantage. Additionally, many photochromic sunglass lenses don’t have enough UV protection. Lenses should offer as much protection as possible. For most players, photochromic lenses are the way to go. Their self-adjusting capabilities make them an ideal choice for golfers who want to keep their sunglasses on throughout a game. Instead of lugging around a few pairs of sunglasses, golfers can stick to one pair and get all of the clarity and protection they need. and get instant access to your free copy today!